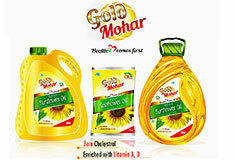 One of India’s First Private Label/Brand in the Edible Oil Segment “GOLD MOHAR” is AIPL’s Umbrella brand for RBD Palmolien, Sunflower Oil, Soybean Oil, Peanut Oil, Sesame Oil, Vanaspati, Bakery Shortening & Fats.Our Flagship Brands Gold Mohar & Gold Cup with a heritage of more than 60 years in the South Indian edible oil market enjoys a Unique Loyalty amongst the consumers which is a driving force for us to strive hard for achieving maximum customer satisfaction by delivering more than expected by our valued customers. 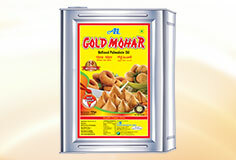 AIPL boasts of having a Long & Strong record of being one of the Largest Institutional suppliers to ITC Limited, Britannia Industries, Parle India and many other prestigious institutions across India.Propelled by the brands popularity and conviction of trust exhibited by the consumers AIPL has a strong Hold in the South Indian Markets Like Andhra Pradesh, Karnataka, Tamil Nadu & Kerala while continues to gain strong foothold in the Western and Central Indian markets like Maharashtra, Chhattisgarh, Madhya Pradesh and State of Orissa. 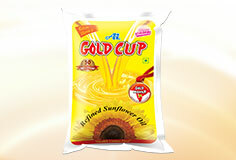 CONSUMER PACK demand for branded edible oils in the country is growing at a unprecedented pace (15-25% P.A.) reflecting the balancing act between the price sensitivity and quality conscious attitude of the consumers in the urban as well as rural regions. 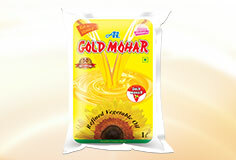 Keeping the changing times in mind, AIPL launched “GOLD MOHAR” in the consumer packs segment along with the highly popular brands amongst the masses GOLD CUP Vanaspati / Ghee. 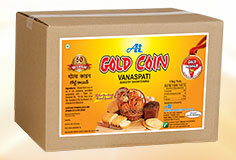 The packaging facilities excel in the quality department boasting a capacity of 9000 MT per month. 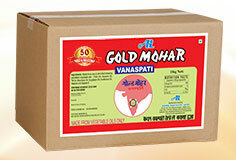 GOLD MOHAR is the flagship brand available in the packs of 500ml, 1litre, 15 litre tin, 15 kg tin variants. Agarwal Industries has strong relationship with distributors (associated with us since 30+ years) across the state and region boasting of wide reach and credibility amongst the traders and consumers. 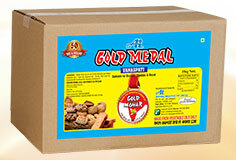 The products are available in Andhra Pradesh, Tamil Nadu and Karnataka. 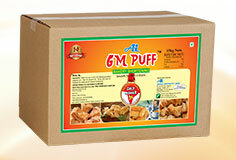 In the state of Andhra Pradesh, it is today available in nearly every small town because of the extensive distribution network. This is also the reason responsible for the stupendous growth in the product sales by adopting low cost yet wide reach out strategy. 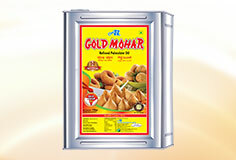 Gold Coin (since 1970), Gold Medal (1995) & recently launched GM Puff are the other Bakery Shortening & Fats brands of AIPL which are customized according to the specific requirements and are highly popular among the biscuit manufactures, bakers and food confectionaries across the South Indian region. 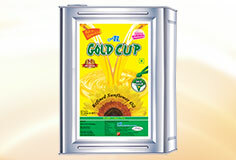 Edible Oils customized for Cattle Feeds Industry. 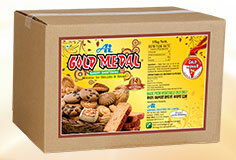 All the above products manufactured by our group are under "AGMARK GRADED" licensed By Govt. of India.